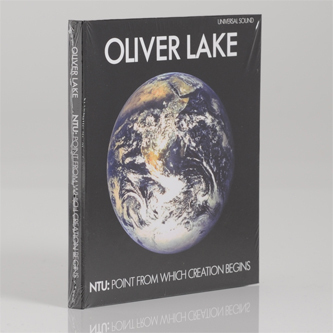 **Digitally remastered and cased in bespoke original artwork exact reproduction on hardboard Jap-stylebox case CD** "In 1971, after appearing on two collective projects by The Human Art Ensemble and Children of The Sun, Oliver Lake recorded his own debut album Ntu: The Point From Which Creation Begins, self-financed for release on his own Passin Thru’ record company. However, shortly afterwards the tape of this album was put in storage, as Lake and the other BAG members headed off to Europe in the path of The Art Ensemble of Chicago and other free jazz African-American musicians, many of whom were finding a new open-minded audience across the Atlantic. 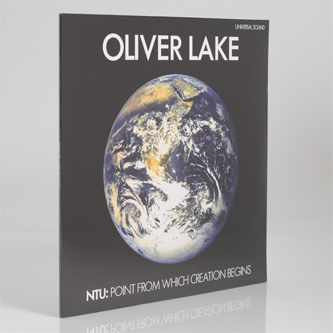 Ntu: The Point From Which Creation Begins remained unreleased until 1976 when an association with major label Arista/Freedom issued a number of Lake and the Black Artists Group’s early releases and unreleased tapes. Long unavailable, this album has now itself become a rarity. Heavily progressive, rhythmical and intense, the album features Lake alongside an all-star cast of St. Louis’s finest radical, avant-garde and deep jazz musicians which includes Joe Bowie (Lester’s brother, who also later formed Defunkt and worked with James White and The Blacks), Don Moye (on loan from the Art Ensemble of Chicago), and regulars such as Charles Bobo Shaw. Lake returned from Europe to live in New York in the second-half of the 1970s to firmly ensconce himself in the emerging Loft Jazz scene, which soon became the dominant avant-garde movement of this era, and Lake an intrinsic member. At this time Lake also formed the World Saxophone Quartet alongside Julius Hemphill, Hamiet Bluiett and David Murray, which continues it’s own radical path to this day. Saxophonist Oliver Lake’s unique career path includes working with Lou Reed, A Tribe Called Quest, Bjork, composing for the Brooklyn Philharmonic and as long time member of the avant-garde jazz group World Saxophone Quartet. This genre-defying, wide-ranging and cross-pollinating creativity is a consequence of Lake’s musical roots in the radical Black Arts Movement of 1960s Afro-America. This album features in Gilles Peterson/Soul Jazz Records’ own Freedom, Rhythm and Sound large-format book of revolutionary jazz."